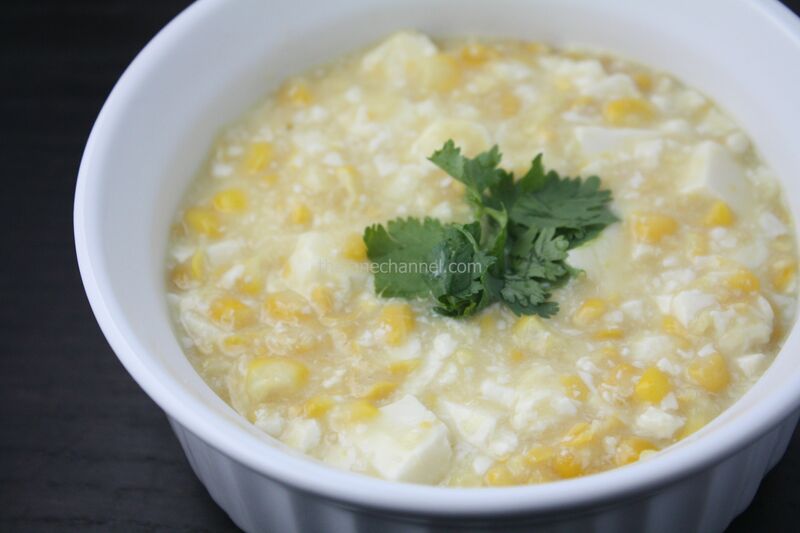 Creamy without actually using any cream, this corn chowder is made with sweet corn and silky tofu. It is low-calorie and filling at the same time, without compromising on taste. A soup that can be ready in less than 30 minutes, this is a recipe worth trying! Pour a can of cream style corn in pot. Stir in one cup of water. Bring the soup to boil, add corn and tofu. *You can put the tofu in a blender if you prefer a smoother version of the soup. Recommend for vegan if egg is not used. When it boil again, turn off the heat. Crack an egg and stir quickly. Salt and pepper to taste. I was recommended this blog by my cousin. I’m now not certain whether or not this put up is written by means of him as nobody else understand such unique about my trouble. You are wonderful! Thank you!